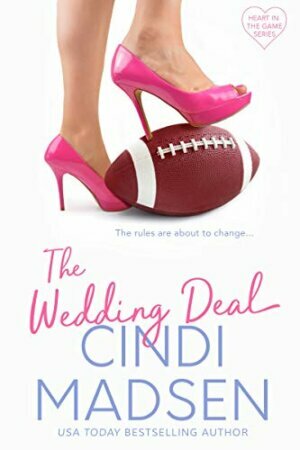 In The Wedding Deal (Heart of the Game #1) by Cindi Madsen (March) after inheriting an NFL team, Lance Quaid decides the team needs a new beginning, so he fires half the staff. Luckily though, he has Charlotte James to help him rebuild, even if she’s such a stickler for rules. 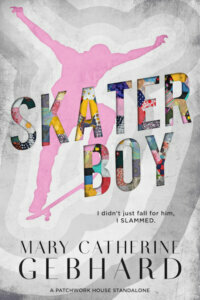 However, rules are made to be broken and as they begin to rebuild, Lance finds himself falling for Charlotte. Yet, when he discovers the secret she’s been keeping, will he be able to handle the truth or will he be another man that disappoints her? Refreshing wasn’t the word she’d pick, but it did sound better than jaded. The opposites attract trope is always a fun trope to read and Ms. Madsen writes the trope sublimely with plenty of playful banter between this couple, which creates tangible and convincing chemistry. The way this story drew me into this story immediately, as Charlotte is such a stickler for rules and isn’t afraid to tell Lance that his behavior on managing the team is far beyond what it should be and that treating people nicely gets someone a lot further than motivating them through rudeness does, especially since his words were all kinds of harsh. Is Charlotte right? Will people be more motivated when kindness is directed their way instead of his way? As for the dialogue, it was a wonderful combination of intense moments due to the main characters back stories and witty banter that had me loving the growing relationship between this pair, as the heroine adjusts to having a new boss and the hero takes on his new role to make the team he’s inherited the best it can be. Moreover, I was highly amused by the teasing banter between the pair, as Charlotte and Lance challenge each other on what’s best for the team. Is Lance right in firing half the staff? Is Charlotte willing to help him rebuild? Will everything work out for the best with the team? With the heroine, she’s feisty, smart, very good at her job, resilient, courageous and I liked how she challenged Lance because she’s a fan of rules and he’s determined to break every single one in the employee manual before the team even start the season. Then again, rules are made to be broken and if anyone can get Charlotte to realize that than it’s Lance. Is he breaking the rules because he believes it’s the best thing for the team or is he doing it because he just doesn’t believe rules are always the best thing to follow? Will Lance be able to win Charlotte over and prove that love is worth risking her stance on following the rules? While the hero, he’s charming, funny, confident, isn’t afraid to say whatever is on his mind and I liked how determined he was to win Charlotte over, even though neither want a relationship because they have too much going on in their lives. I also liked the close relationship the hero has with his family, as Lance and his brothers tease each other and his mother does her best to matchmake for the hero. Really, his mom is quite funny in her matchmaking attempts at the start of the story and I loved her reaction to meeting Charlotte. Perhaps her son isn’t such a hopeless case after all when it comes to finding his Ms. Right. Then again, only Lance can decide whether he wants to take a chance on forever or not. Will he take a chance on forever, especially after things he learns about Charlotte? Will taking a chance on a relationship with Charlotte spell trouble for the team? Overall, Ms. Madsen has delivered a captivating read in this book where the sizzling romance had me hoping these two would be able to make a relationship between them work by overcoming all the obstacles they face to be together including the biggest one of all – the fact that they work together. Furthermore, the ending had me smiling because of what the hero does to prove to the heroine that she’s the most important person to him and is more important than everything they’ve worked hard for. However, it was the epilogue that wrapped this story up perfectly and left me smiling long after I finished this story because readers discover how well these two work together both personally and professionally. I would recommend The Wedding Deal by Cindi Madsen, if you enjoy romantic comedies, the opposites attract trope, boss/employee romances or books by authors Avery Flynn, Tawna Fenske, Marissa Clarke and Robin Bielman. 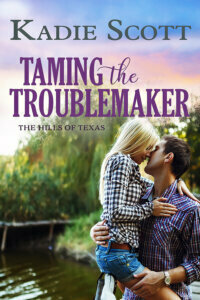 If you’ve read anything by Cindi Madsen before, you’ll love this book. Happy reading, Tammy! I loved this book! Such great, laugh out loud moments! This book was such a brilliant start to this new series for Cindi Madsen. I’m so looking forward to the next book. Looks like a fun read. I have read some of Ms Madsen’s work. They were great, lots of humor. This will be another prospective read. Cindi Madsen is a wonderful author. So, if you’ve read books by her before and enjoyed them, then you’ll love this one. Happy reading, Felicia! This book was great and one of the best starts to a series by Cindi Madsen. Hope you enjoy this book when you get the chance to read it. Happy reading!